In a note to investors seen by AppleInsider, Kuo says industry analysts expect Apple to incorporate rear-side TOF as it looks to develop next-generation augmented reality experiences. For example, Apple is thought to be developing an AR version of Apple Maps, potentially for use with a rumored AR headset. According to Kuo, the distance and depth information provided by existing rear-side TOF hardware is insufficient for creating the "revolutionary AR experience" that Apple is presumably working toward. The analyst believes a comprehensive AR ecosystem is one that integrates 5G connectivity, AR glass (a wearable, head-mounted device) and a "more powerful Apple Maps database" that includes appropriate distance and depth information. It appears Kuo, like others, assumes Apple Maps will be marketed as a "killer app" for Apple's next-gen AR experience. Additionally, TOF tech does not improve photo taking functionality, a major consideration for a company that touts its handsets as the best portable cameras in the world. As such, Kuo says Apple will likely forego rear-side TOF in 2019, instead relying on a dual-camera system first introduced with iPhone 7 Plus in 2016. "We believe that iPhone's dual-camera can simulate and offer enough distance/depth information necessary for photo-taking; it is therefore unnecessary for the 2H19 new iPhone models to be equipped with a rear-side ToF," Kuo says. Rumors of a rear-facing TrueDepth-style camera date back to last July, when reports claimed Apple planned to debut a rear-facing VCSEL system for AR applications and faster camera autofocus. That solution was due to arrive in what would become iPhone X, but Apple's flagship smartphone uses a single VCSEL module in its front-facing TrueDepth camera array. Unlike TrueDepth, which measures distortion in structured light, a TOF system calculates the time it takes pulses of light to travel to and from a target. Such systems allow for extremely accurate depth mapping and can therefore assist in AR applications. The July rumor was followed by a second report in November claiming much the same, while analysts jumped on the bandwagon in February. Why does this guy get any mention on tech forums. I can easily point to a dozen commenters on this forum that I'd rather get opinions about what Apple will likely do in the near future. Does it make sense to integrate the rear-facing camera with face-id? What is the use-case? It's purpose would not be Face ID. These solutions normally have a primary consideration. Distance. Front facing Face ID was designed with short range in mind. Rear facing depth sensing would need to cover longer distances. 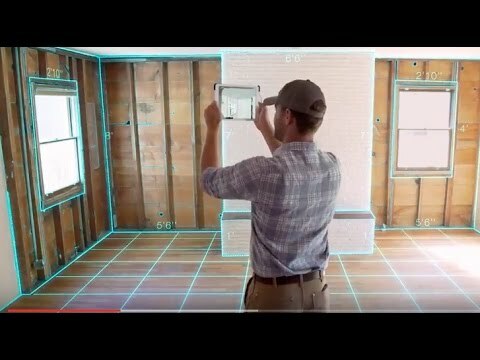 I gather from the article, not face I. D. but advanced AR applications. There’s a mention of future generation Apple Maps. So just leave already. Why are you still here? This is a site on Apple rumors and this is the guy who’s by far the most accurate analyst. I appreciate reading about his prognostication on Apple. Here's an example of what can be done with this.... It is a third-party offering which uses [older] tech developed by PrimeSense (acquired by Apple in 2013). Why is he releasing this now and what does he know anyway? He’s not the most accurate with things that aren’t obvious. And this doesn’t even appear to be a rumor but just what he thinks based upon what he’s researched about the technology. Why drop this note today when the 2018 phones are being announced? Nobody even knows what this sensor is but they just see a headline that Apple isn’t doing something and it’s doom and gloom and fud all over. Actually this isn’t a site on Apple rumors. Rumors are reported on, but this is not a rumor site. Ming-Chi is that you ? Hahaha lighten up a bit. Also getting info from sneaky inside sources isn’t exactly prognosticating. Why won’t AI ever say “in a note given to AppleInsider”, instead of using the passive-voice “seen by”? As written it makes it unclear whether AI buys these reports or is given them from Kuo as a promo/buzz generator. Clarity adds context and weights it accordingly, increasing the value of the piece. What does preferred fortune teller have to do with leaving the site? Why would Soli have to leave? Kuo has some sources in the supply chain, he gets info on what is being made. But he’s often wrong on pricing, names, strategy, etc...all the stuff a leaker doesn’t know. 1) He's not the most accurate. 2) One of the reasons I'm here is for what I already stated in my comment: I can easily point to a dozen commenters on this forum that I'd rather get opinions about what Apple will likely do in the near future.